There are only a couple weeks left of summer vacation, and chances are you have a lot left to squeeze in. Here are some ideas of things to do with the family before school starts up again! 1. Go for a final swim at the Grinnell Mutual Family Aquatic Center. August 23rd is the last day of the season! 2. Enjoy live music at Music in the Park on Thursdays through August 25. 3. Relax at the final Movie Under the Stars tomorrow night. 4. Treat yourself to an ice cream cone from Dari Barn, McNally's or Candyland Station. 5. Go for a ride on the bike trail. 6. Challenge friends to a game of disc golf at Lake Nyanza. 7. Take in the scenery at Rock Creek State Park and Krumm Nature Preserve. 8. Stock up on fresh, locally grown tomatoes from the Grinnell Farmers Market. 9. Get in a round of golf at Grinnell College Golf Course or Oakland Acres Golf Club. 10. Take the kids to a story hour at Drake Community Library. 11. Start your back to school shopping right here in Grinnell! How else do you like to soak up these last days of summer? Leave us a comment with your suggestions! Did you know there's a movie being filmed in Grinnell this month? The independent feature film tells a fictional story of two sisters who reconnect with each other over their shared love of music during the course of one summer in Grinnell. It is a modern-day musical that includes ten original songs, and is named "Saints Rest" after the coffee shop, which is the primary location of the film. Filmmaker Noga Ashkenazi graduated from Grinnell College in 2009 and describes the film as a "love song to Grinnell". I think it is amazing that our community left such an impression on Noga that she chose to spend the past three years writing and producing a film that showcases her favorite places here. Filming began a couple weeks ago, and we had a chance to meet the cast and crew last week. One of the actresses who had never visited Grinnell until now told me that Grinnell feels like a charming town that fell straight out of a storybook and onto Earth. She was wowed by our pretty town and welcoming people. I wish I had gotten her description of our community on camera! If you are interested in being an extra, you may email Katie In at kathrynsoheein@gmail.com to sign up. We look forward to a premiere of Saints Rest here in Grinnell next year! The film will be screened at the Sundance Film Festival and other venues, and is expected to become available to a wider audience in 2017. 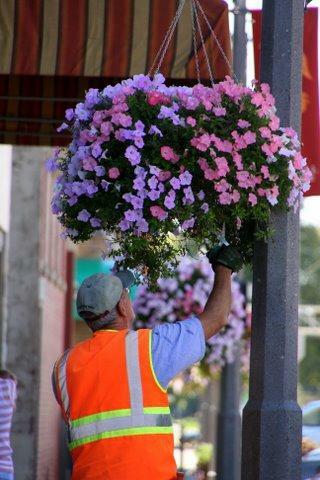 In the meantime, please make an extra effort to get out and support our Grinnell businesses! Many storefronts have limited visibility and sidewalk access this summer due to the facade construction taking place downtown plus filming of the movie. 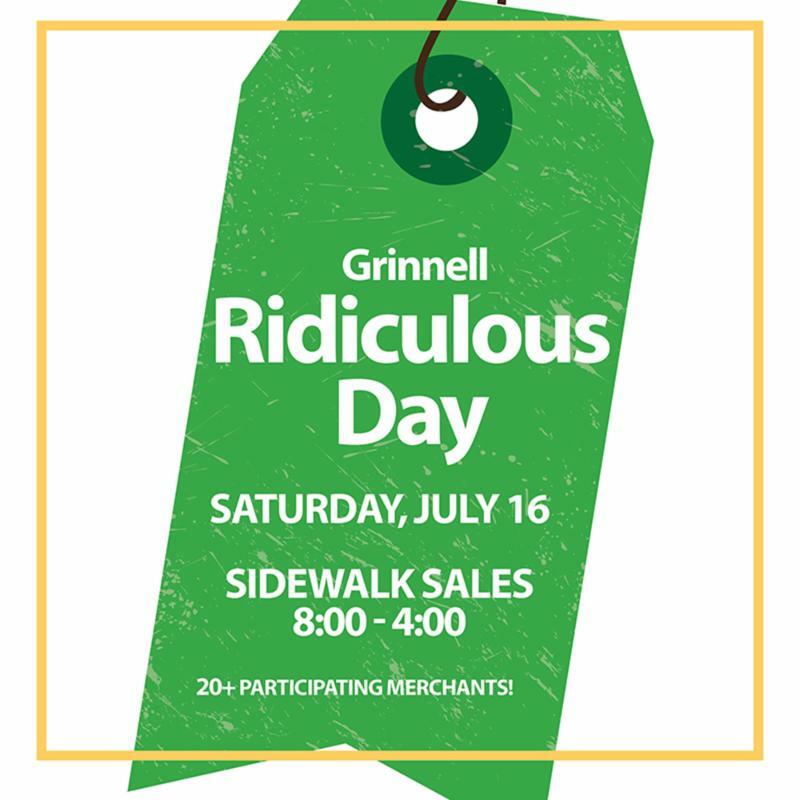 Ridiculous Day sidewalk sales are this Saturday, which are a perfect opportunity to get out and do some shopping right here in Grinnell! Ridiculous Day is from 8:00 a.m. to 4:00 p.m. on Saturday at more than 20 shops this year! Participants include Anna Kayte's Clothing Boutique, Bates Flowers by DZyne, Beauty Hair & Nails, Beckman Gallery II, Bill's Jewelry Shop, Brown's Shoe Fit, Gamers, Giggles & Bows, Loralei's Giftshoppe, Luther Floor Covering, Malcom Lumber, Memories Maid, Paul's ACE Hardware, Phase 2 Consignments, Pioneer Bookshop, Starnes TV & Appliance, Stepping Stones Christian Bookstore, Tea Rose Trinkets, The Music Shop, Total Choice Shipping & Printing, Van Wall Equipment, Village Decorating Studio, and Wagon Wheels West. Find Ridiculous Day details, including a list of each store's sales, on our website. Are you one of Facebook's billion active users? Odds are, a majority of our readers have an account and at least log in occasionally to check out what your friends are up to, or perhaps your favorite businesses or attractions. Did you know that 75% of businesses have a presence on social media, with the majority of those having a Facebook page? Social media is a great, and fairly inexpensive way, for businesses to reach their clients and potential customers. With over one billion active users on Facebook, there are bound to be some good opportunities for businesses to connect with social media users. Earlier this year, we decided to offer an educational series, open to both chamber members and non-members alike, focusing on what can sometimes be a challenging component of any business: marketing. We chose to plan this series of workshops because marketing is essential to our local businesses, but it is constantly evolving and our businesses are interested in learning ways to improve their marketing and communication avenues with their customers. On July 21, we will host the first in our Marketing Power Hour series titled 'Social Media to Grow Your Business's Reach' for businesses or anyone who manages a social media account that is looking for tips and tricks. 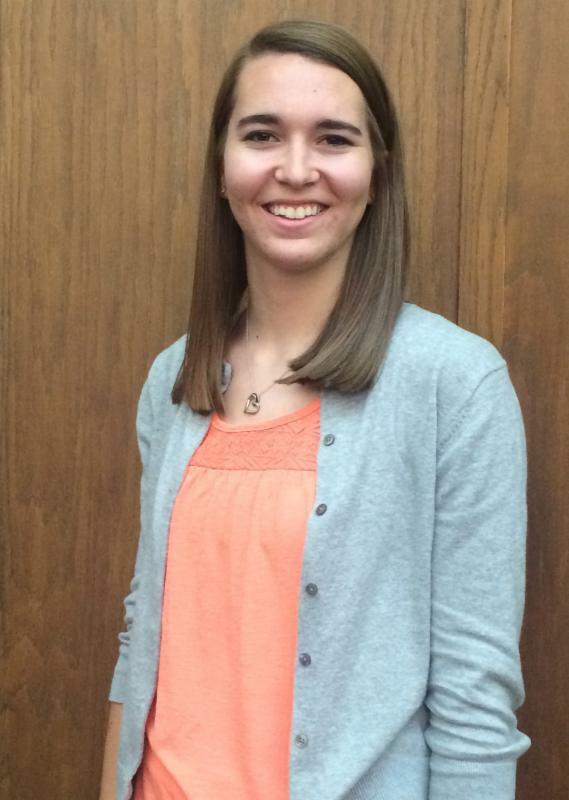 Jessie Brown, social media manager for the Iowa Department of Natural Resources, will be our featured speaker. Attendees will learn about current marketing trends and techniques applicable to community organizations, small businesses and large corporations. Whether you represent a new or established organization, the Marketing Power Hour will be a great opportunity to learn marketing strategies from experts in the field. Advance registration is required, and those interested in attending may register at www.grinnellchamber.org/en/events/marketing_power_hour. General registration for the workshop is $20 per person, and chamber of commerce members may register at a special rate of $10. Registration includes lunch from Pagliai's Pizza (if you needed another reason to attend!). Marketing Power Hours are hosted by the Grinnell Chamber of Commerce and sponsored by Lincoln Savings Bank. If you are one of a billion, we encourage you to 'like' our local businesses on social media. Social media provides an avenue to connect with our local businesses and organizations and stay up-to-date with what they're doing. It's going to be a beautiful weekend to celebrate Independence Day in Grinnell! With a lot of visitors in town for Fourth of July Celebrations plus the Grinnell-Newburg All Class Reunion, we are still in need of volunteers to help us make our celebration run smoothly. Would you consider helping us with the downtown block party tomorrow night? Events like this don't happen without the support of many volunteers. You may sign up online (enter your email quick and it will show you all of the shifts). 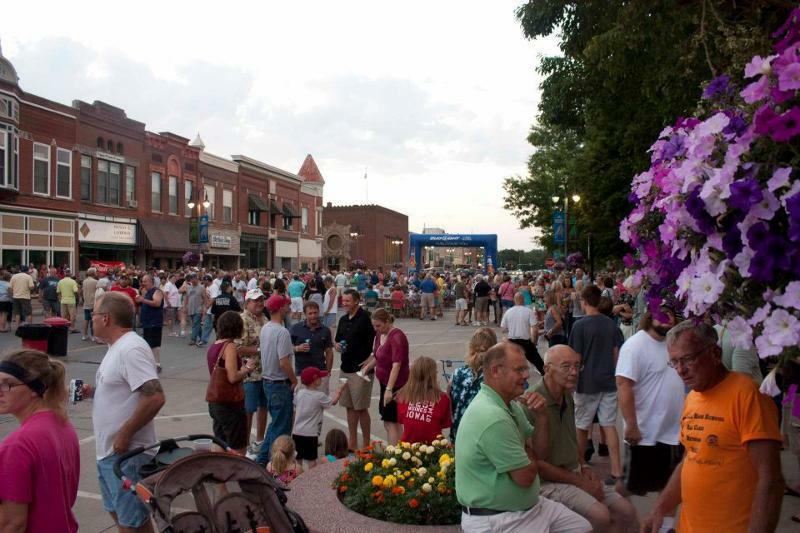 Enjoy an evening in downtown Grinnell with your friends and neighbors at Friday Fest, a downtown block party with live music from Mojo Machine, Nick Wallace and Grinnell's very-own Whiplash, a beverage garden, and kid activities. This year's celebration is in conjunction with the Grinnell-Newburg All-Class Reunion, so get ready for a big bash! Route: The parade will follow a modified route to avoid the street construction taking place on Broad St. near the Mayflower Community. Please help us spread the word! The parade will begin on the south end of East Street near Grinnell Middle School. It will go north on East St.; turn west on Hamilton Ave.; turn north onto Main St. and drive toward downtown; turn east onto 4th Ave.; turn north onto Broad St.; turn east onto 10th Ave. at Grinnell College; and then turn south onto Penrose St. where the parade ends at Ahrens Park. See more parade details here. Enjoy a spectacular fireworks display with your family, friends and neighbors at Ahrens Park. See more Grinnell On The Fourth Celebration details here. Thank you to Ahrens Park Foundation, Grinnell College, Grinnell Mutual and the Grinnell Hotel-Motel Tax Committee for sponsoring this weekend's activities! I attended the Iowa Retail Summit in Ames yesterday, which was a day of learning anddiscussion about the retail climate in Iowa and successful retail initiatives underway in communities across our state. The audience was a mix of chambers of commerce, economic development organizations, business consultants, and business owners. 1) Social ties trump employment - people will move to a community for its quality of life rather than for their job. This can be a good thing for small towns with few employers, because their residents are willing to fill the jobs available or create their own jobs through consulting, telecommuting or starting businesses. 2) Quality of government services is improving - residents feel more optimistic about the services being built/expanded in their town than they did ten years ago. 3) Gas stations and convenience stores are the new gathering place - every community needs a gathering place, and gas stations have become that place in small towns that lack coffee shops and other hubs of activity. 4) Residents feel like they can count on each other, but not as much as they used to - that small-town feel of knowing your neighbors still exists, but it decreased from 2004 to 2014. 5) Lack of strong feelings about local leadership - this rating actually improved in 2014, showing that people are more satisfied with local leadership than they have been in past studies, but they still don't feel strongly one way or the other. The presenter noted that the increase in quality of government services is probably a contributing factor to residents feeling better about their local leadership than they have in past years. 6) Church attendance is decreasing - decreasing populations and a change of culture and diversity have affected churches in many communities. 7) Local shopping has decreased - those surveyed shopped out of town much more frequently in 2014 than they did in 2004 or 1994, which doesn't bode well for local business owners and the local economy. 8) Sense of community has decreased - related to #4 above, people feel less attached to their communities than they used to. This also probably attributes to the decrease in local shopping, since residents feel less loyal to their local town. 9) Civic engagement and social capital is declining - participation and leadership in the local community has declined, meaning a community is relying on the leadership, volunteerism and financial support of fewer residents than they used to. 10) Less attachment to community - this one is closely related to #8, and indicates that residents are less rooted in their town, making them more likely to move away. Aren't these trends interesting? They are all trends that we need to be aware of as we work to ensure Grinnell is a thriving community for decades to come. The full study isn't online at the moment, but I'm told it will be online in the near future and I will include the link in a future email if you're curious to learn more. Which of these items is most surprising or concerning to you? How do you think communities like ours can thrive because of or despite these trends? P.S. Congratulations to Howard McDonough, the grand marshal for the 2016 4th of July parade! Please note that the road construction on Broad St. will affect the parade route this year - see our website for the modified route. 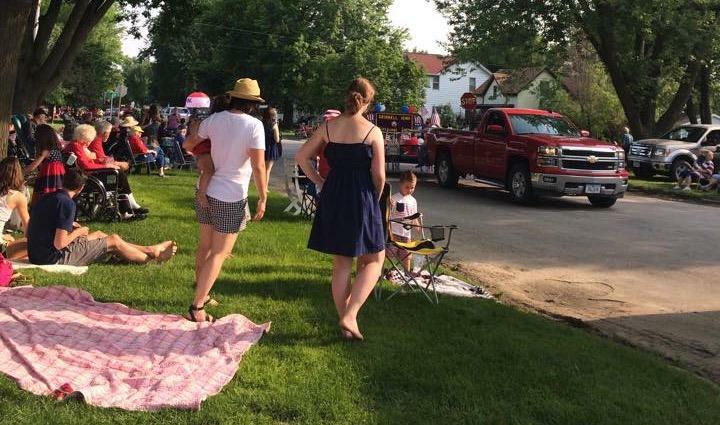 We've posted all of the details for the Grinnell On The Fourth Celebration on this page of our website. One of our roles here at the chamber of commerce is to make connections. We connect new businesses to community resources, small stores to big companies and newcomers to housing and job possibilities, as just a few examples. We use this newsletter as an avenue for connecting you, the general public, with all of the businesses and events happening in our community. We also connect segments of our local businesses with each other, and one group that has really connected and banded together over this past year is our retailers. Retail anywhere is tough these days, especially in smaller communities without large populations of shoppers to support them. Our local retailers have been meeting regularly and working together with the mentality that a rising tide lifts all boats. They are stronger together in many ways, and they haveteamed up to host Thrifty Thursdays as a way to promote each other this month. Each Thursday for the month of June, a group of our downtown retailers is offering bargains and featured sales/promotions at their stores and they are also staying open later than normal on Thursdays. See the list of participating retailers here. So when you get off of work on Thursdays this month, head downtown to enjoy some shopping, the farmers market and a meal at a local restaurant. Kids ages 12 and under will have a blast at the Lil' Warrior Run, the Grinnell Games kids fun run that is comprised of fun obstacles and challenges such as a tunnel crawl, hay bale hurdles, ladder step, etc. The run is at 10:30 a.m. and is free to enter. 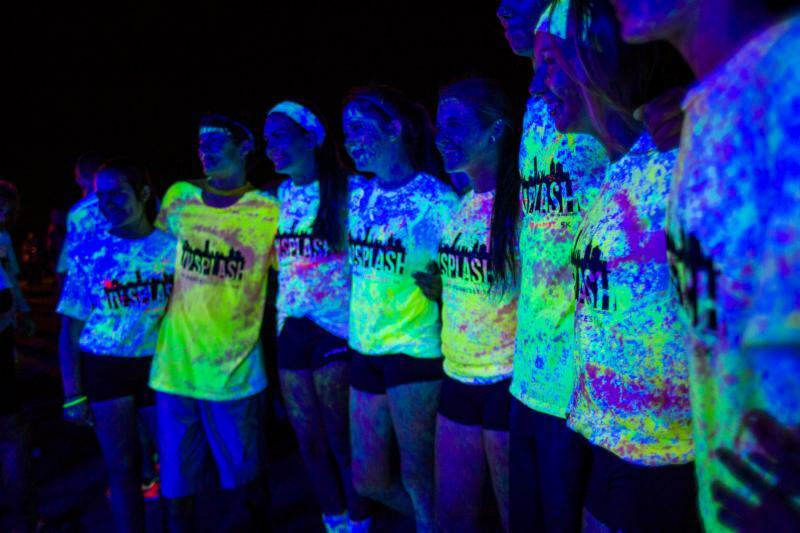 Make a splash at the UV Splash Color Dash, the most colorful nighttime 5K. The pre-party will start at 8 p.m. with 80's music by the band Tang. The neon, untimed race will begin at 9:30 p.m. and participants will start with white shirts and be covered in color by the end. This is a fun run all ages can enjoy, and bikes are even welcome for those who would prefer to bike the course. Kids ages 5 and under may participate for free. Let your kids bike alongside you as you run the course! Set the kids loose for the kid activities at Grinnell Games. They can jump on the inflatables, get their face painted and much more from 10 a.m. to 4 p.m. in downtown Grinnell. All paid Grinnell Games participants receive one free wristband for the kid activities. Additional wristbands may be purchased for $5. Enjoy some family bonding during The Amazing Chase, where teams will race around the beautiful Grinnell College Campus following clues, similar to the hit television show "The Amazing Race." Clues may contain photographs, hints, puzzles, riddles, challenges, trivia, specific directions or some combination of these. The race is designed for everyone from near and far, and to add to the fun, teams should come dressed in matching or themed costumes! There is a family division open to teams of 2-5 people, with at least one teammate needing to be under the age of 18. A partner division is open to all ages. This free show is Saturday night at 7 p.m. at Grinnell College. Aloft Circus Arts is a collective of aerial and circus artists who tell original stories through movement, dance, and aerial performances. You don't want to miss it. This performance is the finale of Summerfest, see schedule here. One of the fun things about the Grinnell Games is how many kids participate! Each year, many kids experience the rush of crossing the finish line of a road race for the very first time. 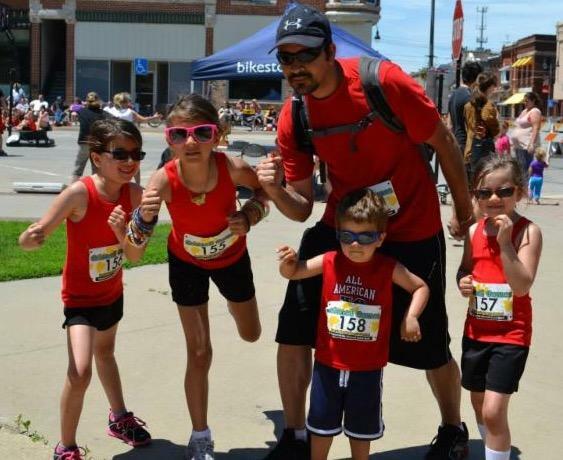 Make running a family affair and enter yourself and your kids in the 5K race. Or, if you're more of a long distance runner, have the kids run the 5K while you take on the half marathon. The road races begin in beautiful downtown Grinnell at 8 a.m. Learn more about the 5K and half marathon here. While exploring Grinnell, check out Grinnell College's Summerfest where you can experience even more family fun, food trucks, entertainment, art, history, music and science. And the event is free to attend! There will be lectures and workshops by Grinnell College faculty, Science Center of Iowa, Blank Park Zoo, Neverland Players, and Eulenspiegel Puppets! It's a daylong celebration of learning and discovery for curious minds of all ages. With all of this fun going on in Grinnell this weekend, you're sure to kick off your family summer with a bang! This list is just a glimpse at all of the activities taking place in Grinnell this weekend. Visit grinnellgames.com for the full event schedule and registration information for all of the events taking place June 11-12. See you this weekend! Have You Met Courtney and Liz? Our organization works with college students in internship roles year 'round, and we have two outstanding students working with us this summer. Liz has been here a few weeks already and Courtney started last week, but in that short time they have already been a tremendous help to us in all of the final logistics and marketing that go into tonight's Friday Fest and next weekend's Grinnell Games, among many other events and projects. Since you will likely meet them at an event or as you stop by our office, we thought it would be great to let Courtney and Liz introduce themselves here. We're very excited to have them on our team for the summer! 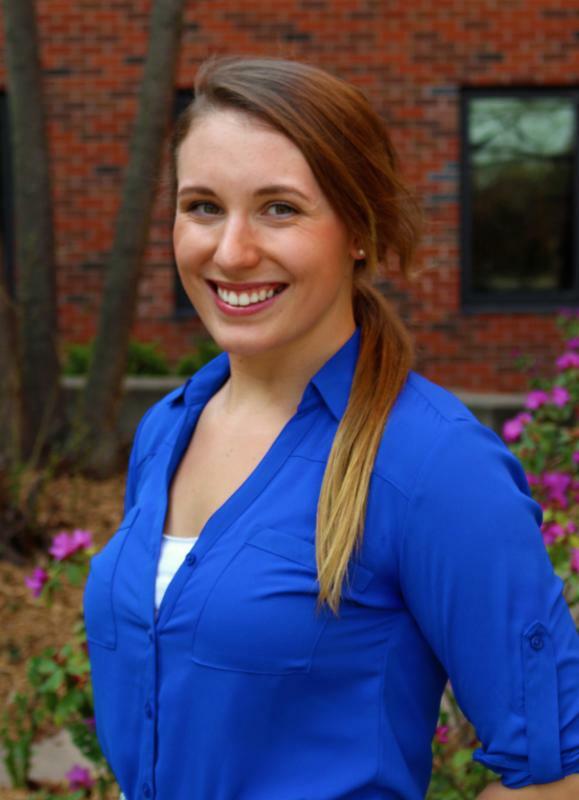 I am a rising third year student at Grinnell College double majoring in Sociology and Religious Studies with passions for education, rural development and social justice work. Coming from my hometown of Montezuma, Iowa, I never thought I would find myself so close to home for college, however, the diverse and socially committed student population and rigorous yet fulfilling academic opportunities of Grinnell drew me in. I certainly did not expect to experience so much of the world just a short 20 miles from home, but that's exactly what happened. Located right in the middle of a beautiful and community-rich small Iowa town, Grinnell proved to be the perfect fit for to learn, grow, and develop my passions and interests as both a student, citizen, and human being. I have had an amazing experience living in Grinnell over the past two years. One of my favorite aspects of Grinnell is the beauty of Rock Creek State Park and the delicious food at Frontier Cafe! I am excited for this opportunity to work with the Grinnell Chamber of Commerce because of their commitment to the Grinnell community. Through this internship, I will be able to gain experience in community development, event planning, marketing, grant writing and research, and the operation of a nonprofit membership organization. It's great seeing first-hand the positive impact the chamber has on the Grinnell community. Hello! I currently attend Iowa State University and will be a junior this coming fall. I am double majoring in supply chain management and marketing, and have been a die-hard Iowa State fan since I was in diapers. I am originally from New Hampton, a small town of about 4,000 in Northeast Iowa. Growing up, I thought I hated living in a small town because there was nothing to do and everyone seemed to know everyone's business. As I went off to college, I realized just how much I appreciated my hometown. From the friendly waves on the road (whether you knew them or not), to the way the town rallied around a family in the midst of a tragedy or an accomplishment. When I saw the opportunity for a marketing internship in Grinnell for the summer, I thought it would be the perfect chance to not only gain more working experience but also get to know and love another small town. The town of Grinnell definitely has not disappointed. My favorite part about Grinnell is how friendly everyone is and how beautiful it is here. Oh, and Dari Barn is great! Grinnell has so much to offer! After graduating college, my ultimate goal is to get a marketing or logistics position within a larger company such as John Deere. Since beginning this internship three weeks ago, I have also started thinking about how awesome it would be to work in a smaller community like Grinnell. Until graduation, I plan on going where ever life takes me. Tweenerville. Sounds like something right out of a Dr. Seuss book, right?! Unfortunately that's not the case. Instead, it's a term that represents Grinnell Regional Medical Center (GRMC). What does it mean? In a nutshell, GRMC is among eight hospitals in Iowa to be considered a 'tweener' hospital. These hospitals find themselves in between the designation of a Critical Access Hospital and a Rural Referral Hospital, thus designated a 'tweener'. Essentially it means our hospital is underfunded by Medicare & Medicaid by approximately 30% of their COST to provide services, which is among the lowest reimbursement rates in the country. In 2015 this totaled more than $5 million paid to GRMC less than was spent taking care of Medicare and Medicaid patients. It's a very complicated situation, and I won't attempt to explain all the details, but know this: there are different projects that have been put in place by the federal government over the years in an attempt to help recover some of these costs. A few of these include the Demonstration Project and implementation of more Critical Access Hospitals and more recently the REACH Act. While the Critical Access Hospital has certain provisions that currently limit GRMC from qualification, GRMC is a member of the Demonstration Project. That program is set to expire the end of this year, which is why we began to take action. been an affiliate member ofthe Greater Des Moines Partnership, so we felt it important to ask for their support in this matter. After all, they have a team of folks who are assigned to federal and state legislative issues and advocating on behalf of those issues so we felt it pertinent to seek their advice. 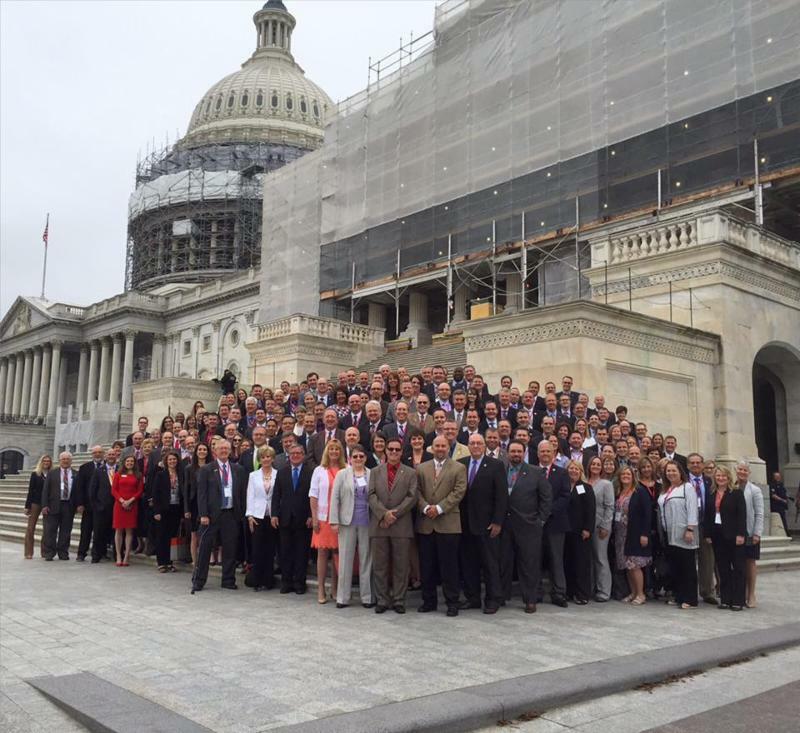 We were overwhelmed by the support of their group and just last week, Todd Linden, CEO of GRMC, and I joined the Partnership's advocacy trip to Washington D.C. to talk with our legislative representation about our situation. We are feeling cautiously optimistic after visiting with our delegation last week, and are hopeful that a bill that will include an extension of the Demonstration Project will be sent to the House next week. The Demonstration Project has already passed the Senate due in large part to Senator Grassley & Senator Ernst's support. If you are interested in getting more involved, or learning more please let me know. We need as many champions on this project as we can get, and at the end of the day the decisions being made at the federal level truly are having an impact on our community's hospital. Grinnell Regional Medical Center is a driving force in sustaining excellent quality of life in our region and is an economic engine that makes a substantial impact toward making Grinnell a stronger place to live, learn, work and play. We are fortunate to have GRMC play such an integral role in our community, and we are committed to working with them in the fight for equitable reimbursements of all provided services. The Grinnell Farmers Market officially opened at 3:00 today! It always feels like summer is just around the corner when the market season starts up. The Farmers Market is in its usual location along Central Park and will be on Thursdays from 3 to 6 pm and Saturdays from 10 am to noon. The market has it's own web page this year where we've posted a list of vendors and other details. Checkwww.GrinnellFarmersMarket.com all season long for market information. We just posted photos of all the products at today's market on our Farmers Market Facebook page. Grinnell Games, Iowa's Family Sports Festival, is ONE MONTH away from today! You have 3 days left to sign up for an event and receive a free technical shirt with entry. The T-shirt cut-off deadline is May 15, so don't delay. You may register at GrinnellGames.com. UV Splash 5K Run & Bike Event - After Dark! We are bringing the UV Splash to Grinnell! The UV Splash is a family-friendly, untimed 5K, for all shapes, sizes, ages, and abilities. Start white (we provide the Tee), and at each kilometer add blue, sprinkle green, splash yellow, spray orange, and finish strong in pink. We'll kick things off with the bike riders and the runners will follow. Crawl through mud and climb over obstacles in this fierce running challenge. Push your limits physically and mentally by competing in this ultimate race. The route is approximately 5K. Enjoy a "jewel" of a course touring the best of beautiful Grinnell, Iowa. The course is relatively flat and fast with a few rolling hills - looping through the historic downtown, around Grinnell College, through the Paul W. Ahrens Park, along the countryside and down Broad Street where old Victorians and trees line the road. Get a group of your friends together for a sand volleyball tournament smack dab in the middle of downtown. We're hauling in the sand and setting up a volleyball court in the center of the Grinnell Games action for the afternoon.